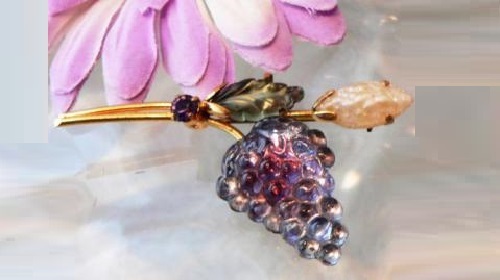 The world of vintage jewelry is large and diverse. 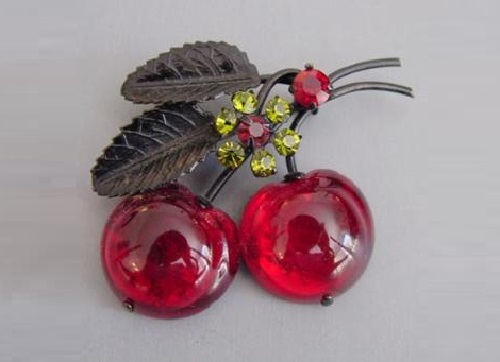 It’s like the whole planet with lots of people from different age groups (mostly elderly and very elderly), and nationality. 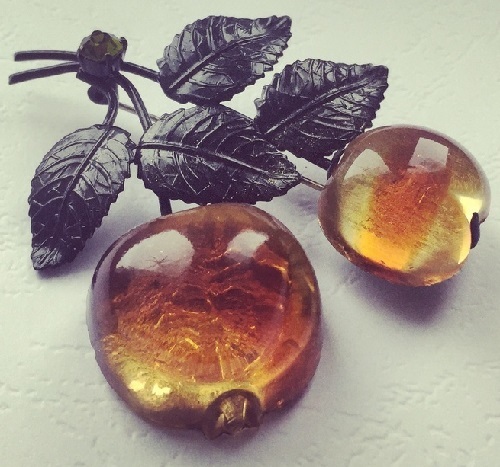 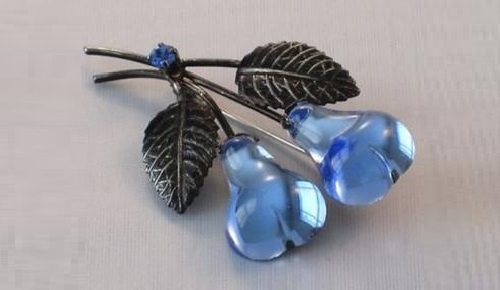 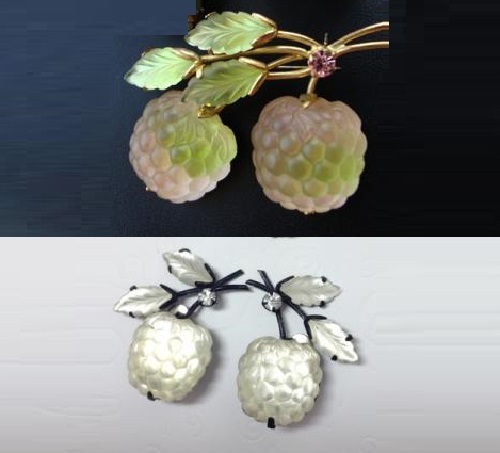 Among them a special place is occupied by jewelry from Austria – brooches and clips from the series of fruits and berries, which were produced in the 1940s – 50s. 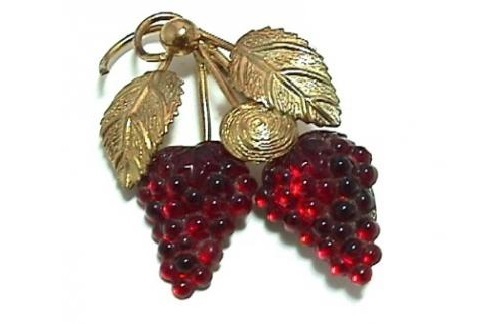 In almost every publication on vintage costume jewelry to that kind of jewelry is given a few pages. 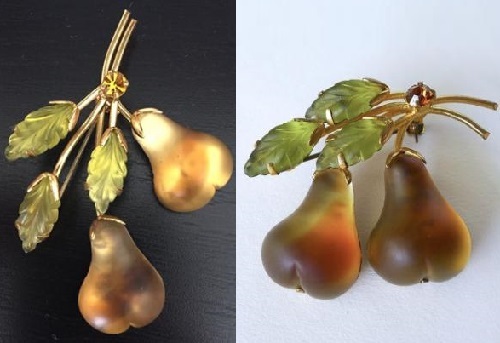 They really deserve to learn a little more about them. 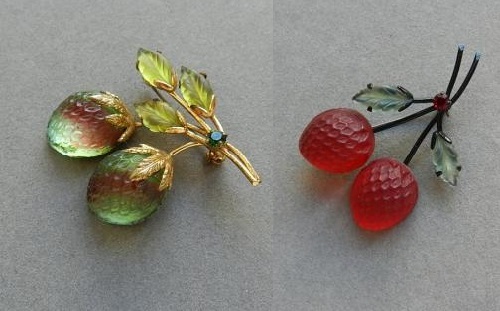 Multicolored brooches and clips – strawberries, pears, raspberries, grapes, cherries, lemons, oranges – have been favorites of many women. 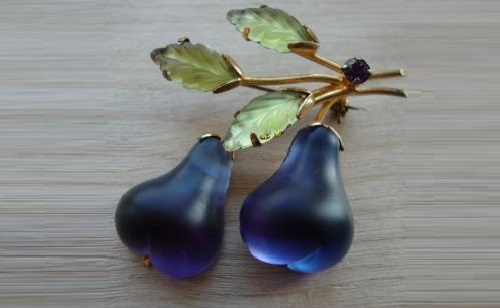 And now there are women who collect this particular series of jewelry. 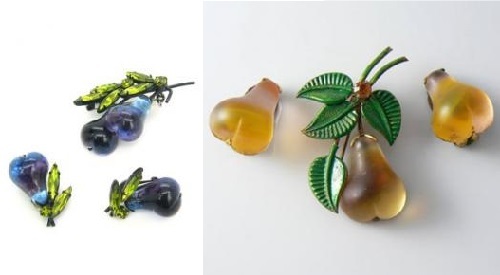 These ornaments were produced in Austria after World War II. 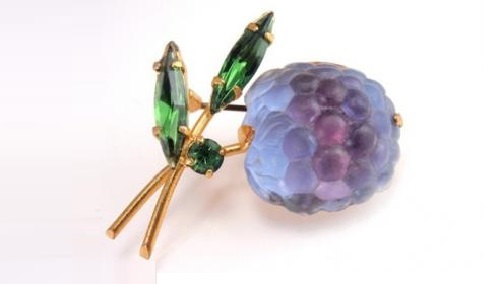 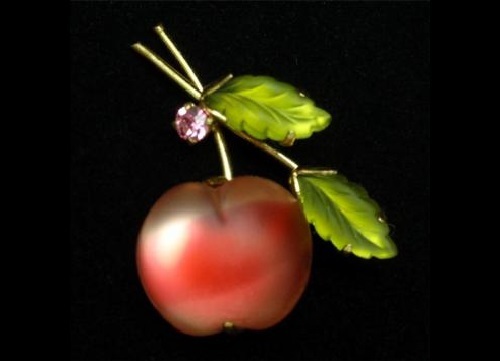 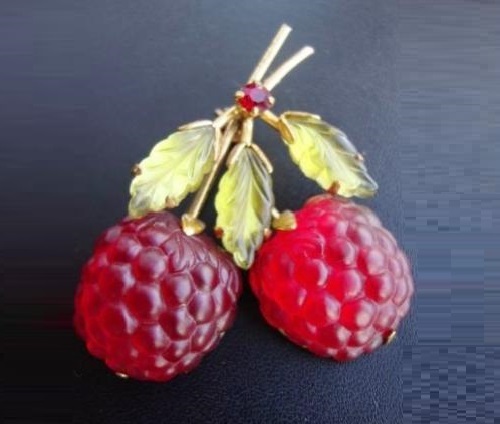 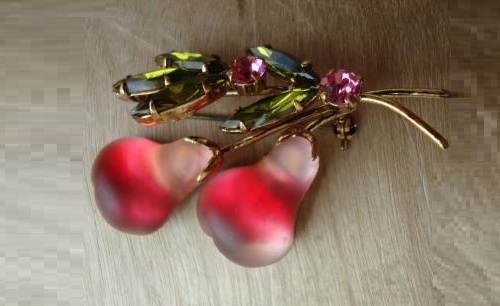 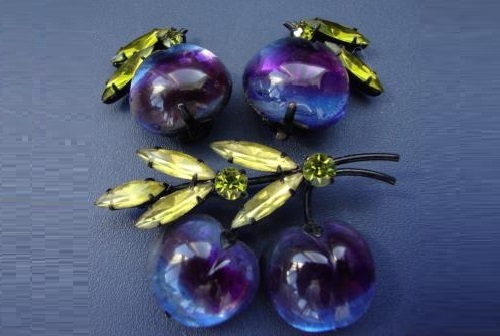 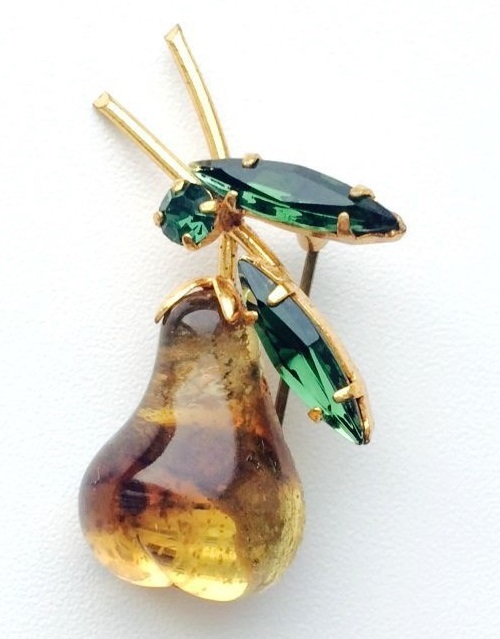 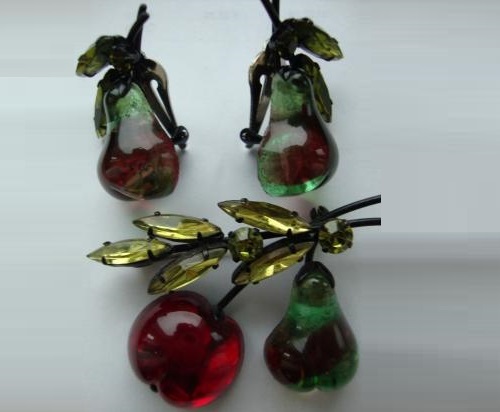 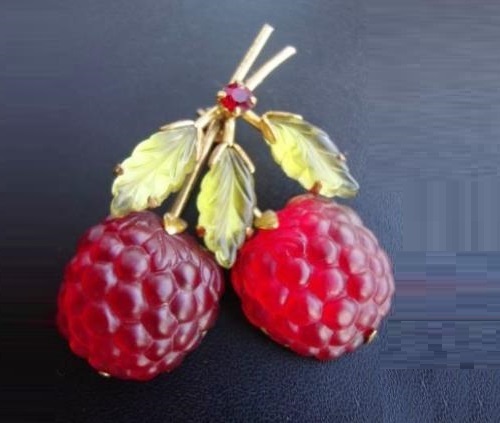 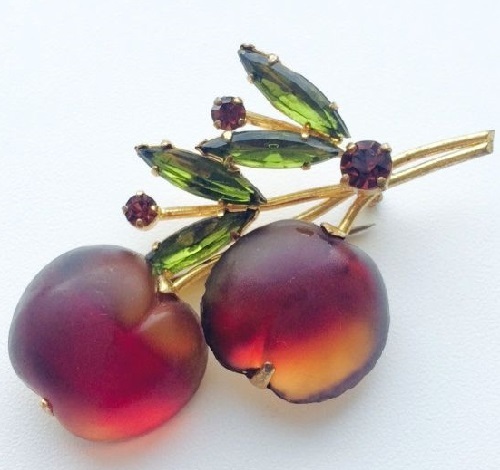 In the mid-20th century there were other manufacturers who produced brooches in the form of fruits and berries, but the most “delicious”, juicy and voluminous have always been Austrian fruit and berries. 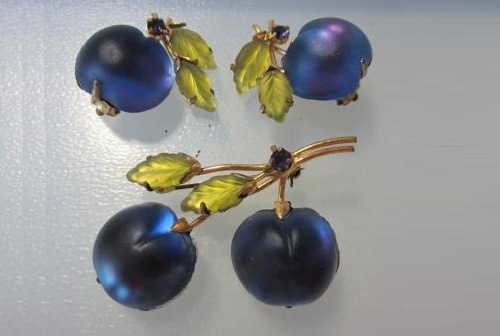 The basis of these ornaments was metal covered with gold or varnish, sometimes black, and the berries and fruits were made of glass. 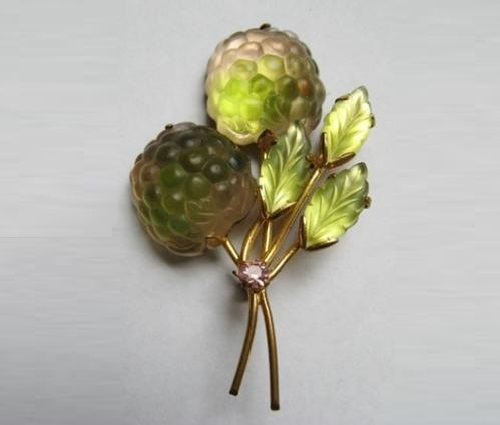 The effect of internal light and depth achieved through the use in glass insets gold or silver tone foil, it was placed on the back of the cabochon, and it began to flicker like inside. 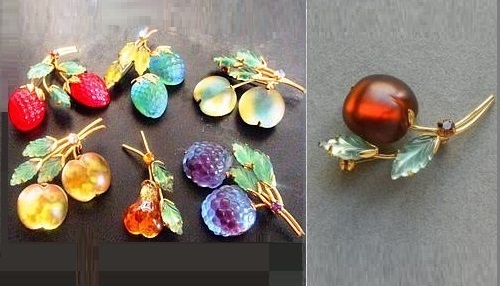 Produced both – a decoration with cabochon stones with a smooth surface and “frosted glass”, berries and fruits from such glass seemed as if covered with frost. 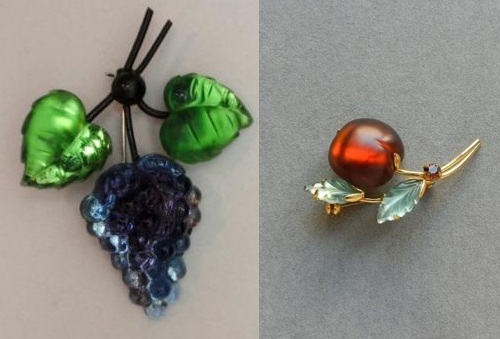 Also, clips and brooches were often decorated with the best Austrian crystals, popular worldwide because of its superior quality. 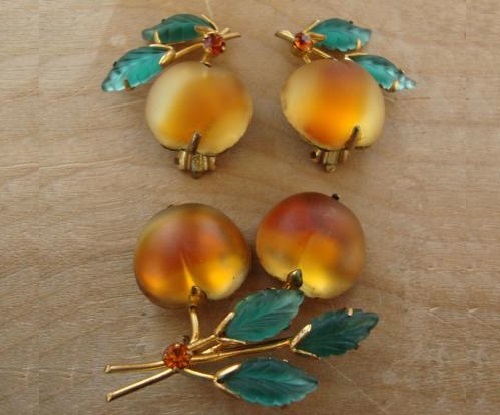 These decorations were stamped – Austria.